Chocolate Ooh La La. And that is exactly what I said when I tried these amazing salty and sweet decadent treats. I recently received samples of the Original and Minty flavors, but Chocolate Oh La La also has a Peanut Butter flavor that I would have loved to try. When I received these adorable decorated boxes of chocolates, I was incredibly impressed by the presentation. They were beautifully decorated and I was a little upset about having to destroy the beauty to get to the chocolate. But ultimately, the chocolate won. I had to get into the cute little boxes and see what was inside. When I opened the box I was greeted by these personalized “custom message shreds”. The shreds had “Happy Valentine’s Day from Taylor, Rylan and Peyton” printed on them. I thought that was super special and it made me feel special as well. But the real treat was what was still waiting for me inside the box. CHOCOLATE! They are a yummy treat of chocolate and pretzels and are made and packaged in Atlanta, Georgia. Although I really liked the Minty flavor, the Original flavor is my absolute favorite. The saltiness of the pretzels with the sweetness of the chocolate is outrageously delicious. The chocolate was gone before I knew it. 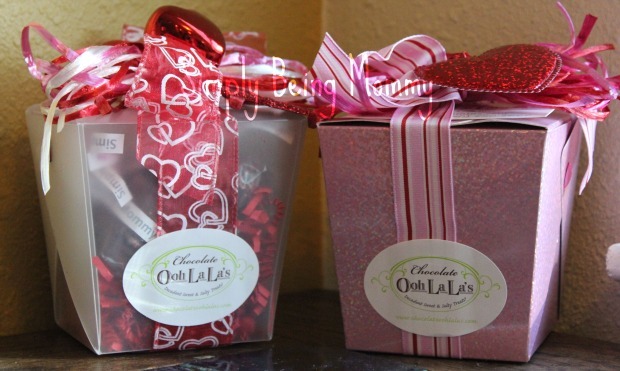 During the month of February, Chocolate Ooh La La is donating 10% of all proceeds to the Komen Foundation. I love supporting companies who in return help support wonderful causes like the Komen Foundation. 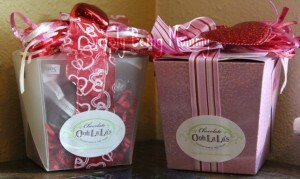 You can purchase a take out box of Chocolate Ooh La La (12 pieces) for $12. The views and opinions expressed on this blog are purely that of the blog owners. Any product claim, statistic, quote or other representation about a product or service should be verified with the manufacturer or provider. I received free product in order to facilitate this review. wow that looks soooo delicious! 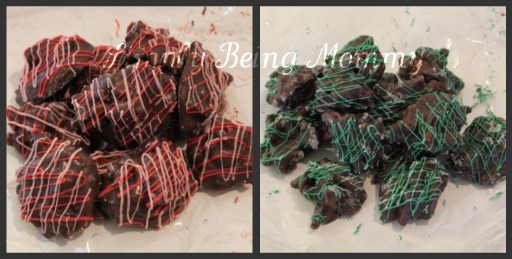 I ADORE chocolate dipped pretzels! Ooooh yum! Those look delicous. Cute packaging too! Oh how yummy! I need some of that chocolate, or maybe I don’t. I would eat it all and that would be bad. 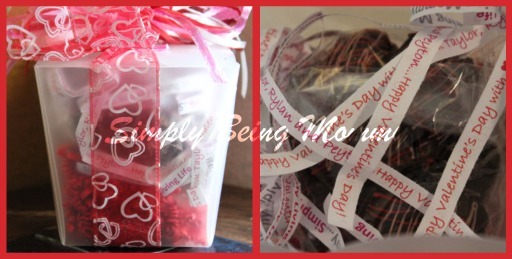 OH my Gosh I was thinking the same thing about the packaging…what a beautiful AND yummy gift to give! Ummm…maybe. LOL! I am with you…I’d love to try the Peanut butter! How cute and they look SOOOO tasty!! These were the best, so yummy and I love the packaging. All 3 flavors are great, but I really love the mint. I gave them as gifts as well and they all wondered where to get them.